The Morsø 5448 on a pedestal has a characteristic front made of black glass with soft shapes, an appearance not unlike a touch-screen. 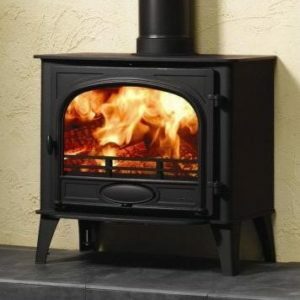 The cast iron stove’s shape is like a ‘fluid box’ , acquiring its look of strength from the ribs on its sides. 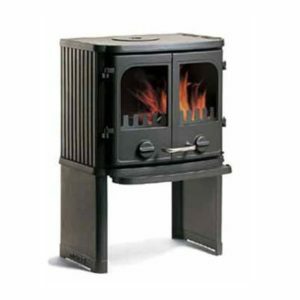 Our stove builders get really sentimental about this model as it brings back to life the old elements such as the valve, the exposed hinges and the black, Bakelite handle fromthe old classic stoves. All this has been combined with a unique design, which could only be made from cast iron. 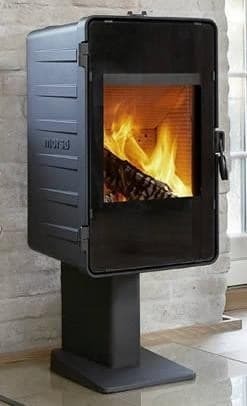 The Morsø 5400, which bears the Nordic Swan eco-label, is based on the convection principle and delivers fantastically clean and effective combustion. 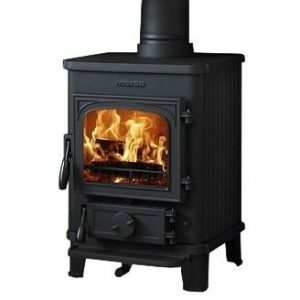 It is both logical and easy to use, as the stove’s air intake – and therefore also the combustion and heat – are controlled by a simple handle, designed in cast iron. 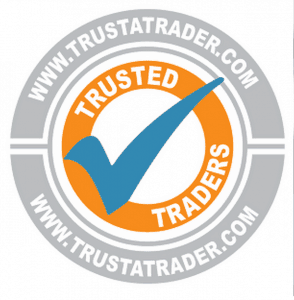 The wood burning stove can heat room space measuring up to 100 cubic metres.